There’s a BOWLING ALLEY in the HUB. Yes, the rumors are true! 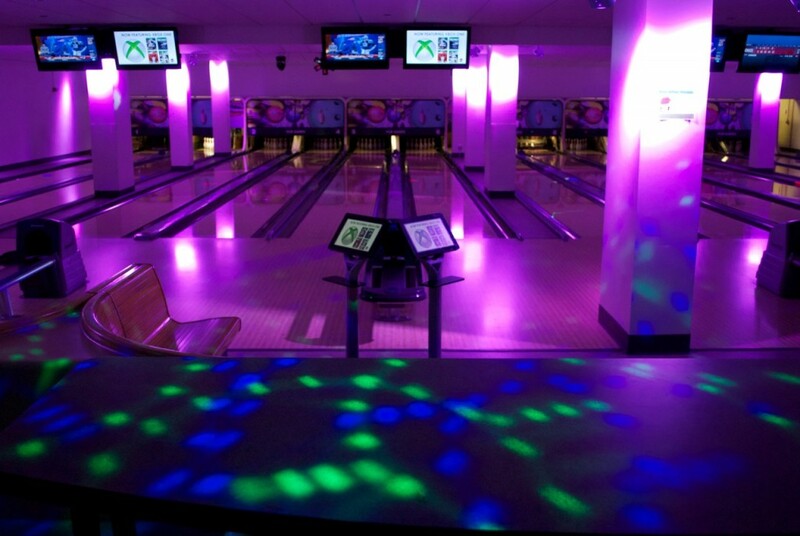 The HUB Games Bowling Alley has 12 lanes, is reservable for parties, and has state-of-the-art bowling kiosks and screens. The HUB Games counter offers snacks, drinks, and light dining offerings. No socks? No problem. HUB Games has socks for sale too. Bring your friends and Bowl in the HUB! HUB Games offers Cosmic Bowling every Monday-Thursday from 6:30-10:30pm during academic quarters. Submit an Availability Check (reservation request form) online using the link below. Walk-ins are accommodated on a lane-available basis. 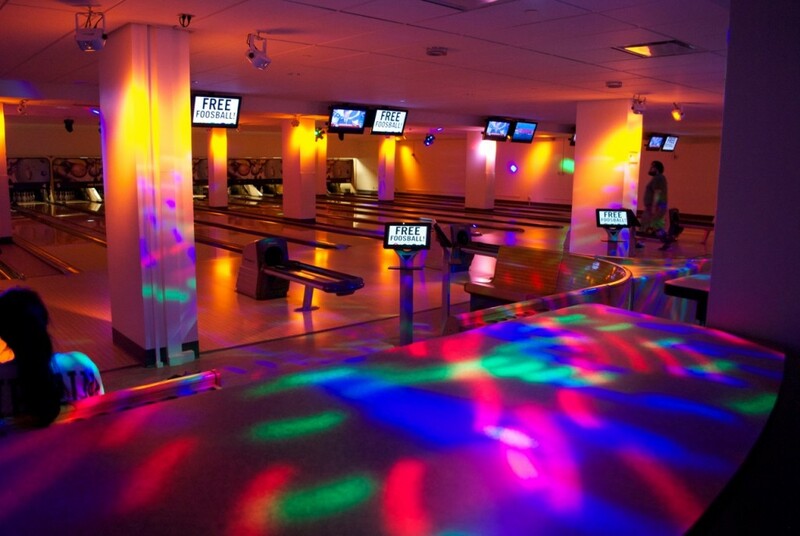 For Reservations: Bowling rates are per lane/per hour and include bowling shoe rental. 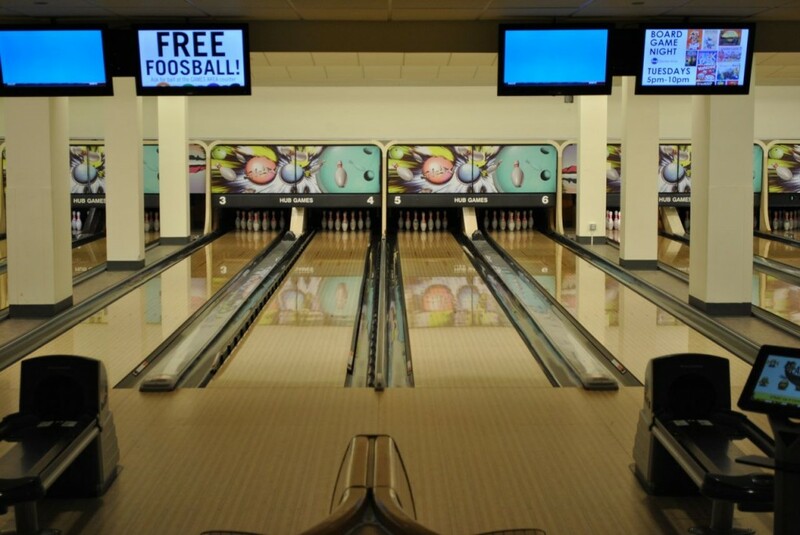 For Walk-ins: Bowling rates are by the game and include bowling shoe rental. Note: Please expect cosmic bowling prices to be slightly higher. HUB Games hosts quarterly bowling leagues in partnership with the IMA and their recreational sports program. League play is held every quarter except Summer. Teams of 4-10 players are placed in divisions for the round-robin regular season with league-ending playoffs to determine the final standings. Competition is open to undergraduates, graduate students, and Faculty/Staff members. HUB Bowling Leagues follow rules in the IMA Intramural Sports Handbook (online) and the IMA Bowling League Regulations (pdf). This division offers teams a higher level of competition (though it is still intended to be friendly). Players will bowl 3 games with no handicap. NOTE: Scratch scoring will apply to all playoff matches. Each team must pay the $25 TEAM ENTRY fee prior to the first league game. Additionally, team members will each pay $6 WEEKLY GAME fees for use of the facilities. This weekly fee will be collected before every match and will cover the cost of bowling and shoes for the player. Team captains must submit the entry form/roster with player names, gender, UW affiliation, and student or employee ID numbers, plus their entry fee by the Friday before league play by 5pm. Choice of playing days will be on first-come, first-served basis. First day of league play is the 3rd Monday of each quarter with the exception of summer quarter. The Team Captain is responsible for submitting the Team Roster by the Thursday before league play begins and for any subsequent roster changes. The Team Captain is responsible for finalizing the roster before playoff games begin. Teams with unapproved bowlers will forfeit any bowling matches that bowler participated in. Teams can have any combination of men/women on their team. Only current UW students, faculty, and staff are allowed to bowl for a team. Each individual is only allowed to play for one team per quarter. HUB Games staff will check Husky ID cards when teams reach the playoff rounds and bowlers will only be allowed to bowl if they are listed on that team’s roster. Bowler’s names must be typed in prior to the first games. To change bowlers for the 2nd or 3rd game, select the “Bowlers” button on the touch screen for options to change bowlers. Then, choose “Name” to change your bowler’s names for game 2 and 3. Note: Please use real FIRST names for all bowlers. Teams will assigned one of their preferred time slots and be expected to attend and bowl at that time. Pre-Bowling or Post-Bowling: If a bowler or team cannot attend their scheduled time slot for that week, then a bowler/team may pre-bowl for a specific week by bowling their games in advance for the upcoming week. Bowlers can also post-bowl, in which bowlers have 24 hours after their match start time to come in and bowl their games. Bowlers who do not bowl within 24 hours of their league time will be scored absentee scores for that week. 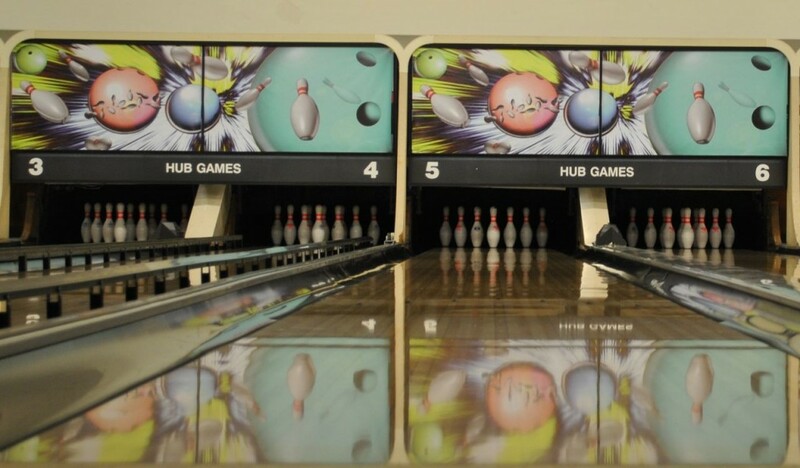 All bowling equipment (balls, shoes) will be provided by HUB Games. The cost of rentals for these items is included in the weekly match fee of $5 per player. 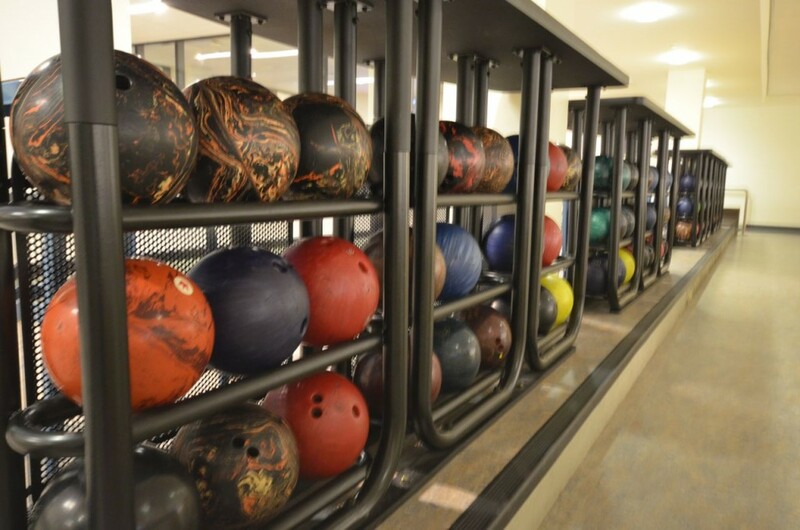 Please Note: By choosing to use personal equipment (shoes or bowling ball) bowlers do so at their own risk. The HUB Games Area will not be responsible for repairing or replacing any personal equipment in the event of damage or loss. All food and drinks shall be left on the ledges on the back of the seating or on the tables above the bowling ball racks. No food or drink is allowed on the lanes.